Provide comfort for the family of Elizabeth Socci with a meaningful gesture of sympathy. 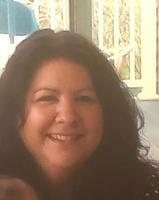 Elizabeth G. Socci, 47 of Greenwich, passed away peacefully, Thursday January 24,2019. Elizabeth was born April 28, 1971 in Stamford, CT to Anthony & Angelina Volpe Socci. Elizabeth was an artist who loved to create and make people around her happy. Liz loved all forms of art including music, film and the fine arts. Her love of fine art led to her pursuing a masters in art and studying abroad in Italy. Then Liz became a teacher within the Stamford Public Schools. Elizabeth loved being a teacher. Elizabeth’s greatest passion in life however was her family, in addition to her parents she is survived by Her brother Tony (Jenn) Socci & her nephew Gabe Socci. 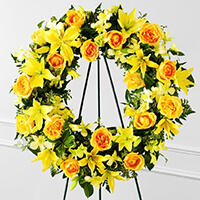 To send flowers in memory of Elizabeth G Socci, please visit our Heartfelt Sympathies Store. Stacey Rasmussen, Newfield Elementary School, and others have sent flowers to the family of Elizabeth G Socci. Liz and I worked together when she worked as a para professional at Hamilton Avenue School in Greenwich, CT. We ate lunch in my classroom every day and while we ate, she would sketch pictures of the books I read to the class. At the end of the school year, she let me pick 10 to display in my classroom. I still have Liz's amazing artwork hanging in my classroom. She was a beautiful, caring and extremely creative person and I will miss her. My deepest condolences to her family. Stacey Rasmussen purchased flowers for the family of Elizabeth Socci. Forever in our hearts! Love your Newfield family! Newfield Elementary School purchased the The FTD Ring of Friendship Wreath for the family of Elizabeth Socci.